Batman had been DC’s TV star in the 1960s, and Wonder Woman followed suit a decade later. Despite a sterling performance from the glamorous Lynda Carter, the series never matched the creative success of Batman. With that, cutting corners to maximise profit could be absorbed with a nod and a wink as all part of the joke, but the more serious Wonder Woman adventures suffered from a lack of spectacle overall, and only vary rarely was anyone other than Wonder Woman in costume. 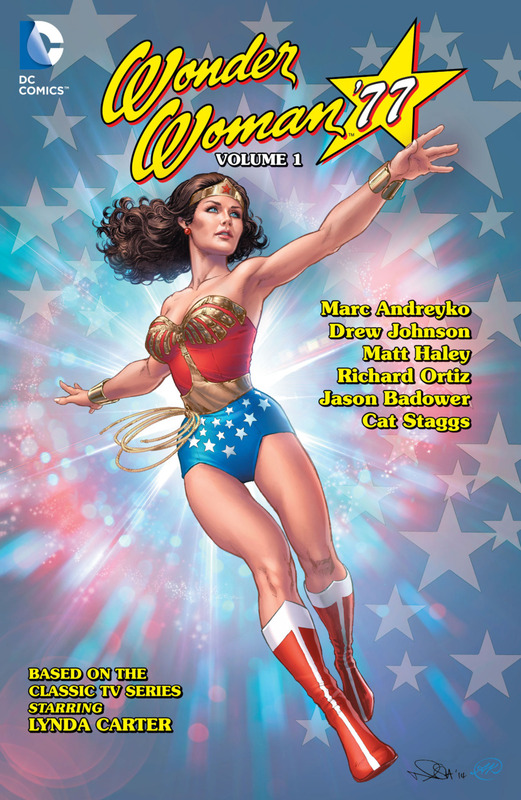 Marc Andreyko is under no such restrictions, and he introduces more friends and foes from the comics in stories whose trappings are checklists of the period. Ever wonder why the Steve Trevor of the TV series never turned up with Diana Prince at Studio 54? He does here, but while subtle satire is the order of the day, Andreyko never strays into parody, and his approach is very effective in presenting what could have been with the purse strings loosened, rather than what was. As Wonder Woman was played as straight drama on the TV screen, strong visual likenesses are essential, and this is a strength of all three artists used. 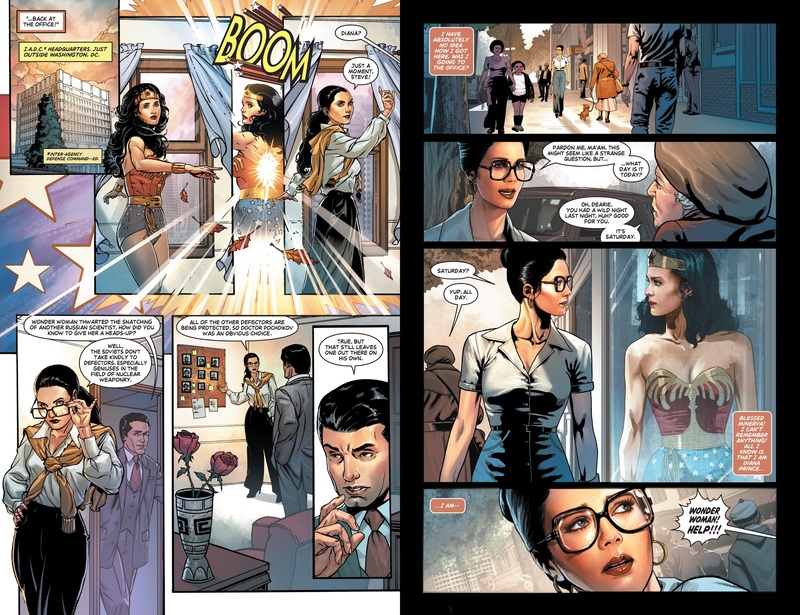 Jason Badower (sample art right) employs near photographic realism for his story, and while that results in some perfect images of Lynda Carter, the use of visual manipulation results in some strange expressions, particularly on the story’s other Wonder Woman. Cat Staggs also achieves some stunning likenesses, but her pages aren’t as interesting looking. The best balance is achieved by Drew Johnson (sample art left), whose action flows nicely, and whose likenesses less obviously manipulate images. 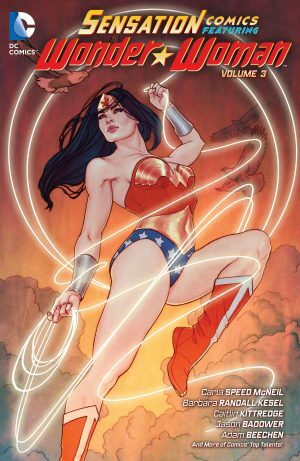 Over the course of five separate stories we see Wonder Woman face off against people familiar from her comics, some of whom are recontextualised slightly. Apart from a foe whose revelation would fall into spoiler territory, they’re written as meeting Wonder Woman for the first time, and what distinguishes her is the compassionate understanding of people who have nothing but ill intent toward her. 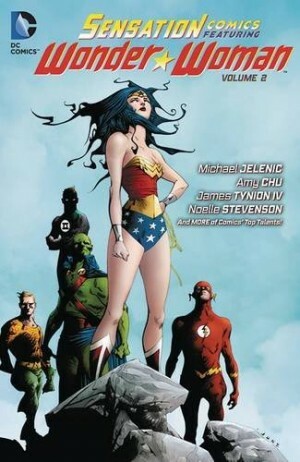 Andreyko also manages to introduce a group of lesser known DC heroes, well tied into a story about a nuclear disaster. 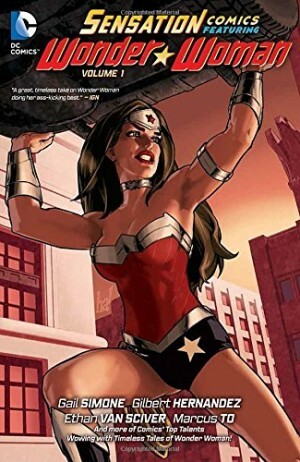 While true to the TV series, Andreyko’s plots would work equally well as standard Wonder Woman stories, with that of an alternative Wonder Woman standing out as the pick of the bunch. Bring on volume two.